Robert J. Ulman is divorce lawyer in San Antonio who is Board Certified in Business Litigation and Family Law by the Texas Board of Legal Specialization. Robert ulman has over thirty years trial experience in Family Law and Business Litigation in Bexar County and surrounding counties. Since 1978, Robert Ulman has represented business and families alike in Business Litigation and Family Law matters, including divorce, child custody, child custody modification, child custody enforcement, paternity, and child custody relaction matters. Robert Ulman is a board certified San Antonio divorce lawyer. Board Certified in Family Law, Robert Ulman serves San Antonio as an experienced divorce lawyer with majority of trials before the Bexar County District Courts in San Antonio. 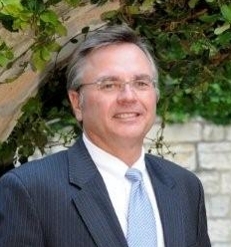 Texas Monthly magazine has named attorney Robert Ulman of San Antonio a Texas Superlawyer. The list of Super Lawyers® is based on surveys of more than 20,000 lawyers across the state of Texas. Robert J. Ulman was named among San Antonio's best lawyers in Scene in SA magazine. Robert Ulman is a Board Certified divorce lawyer serving San Antonio recognized by Texas Monthly and Scene in SA for his extraordinary work in family law and business litigation.